I usually do not veer from decorating and design here at Far Above Rubies. But, I thought it was really important to share this book, and offer one to a reader. 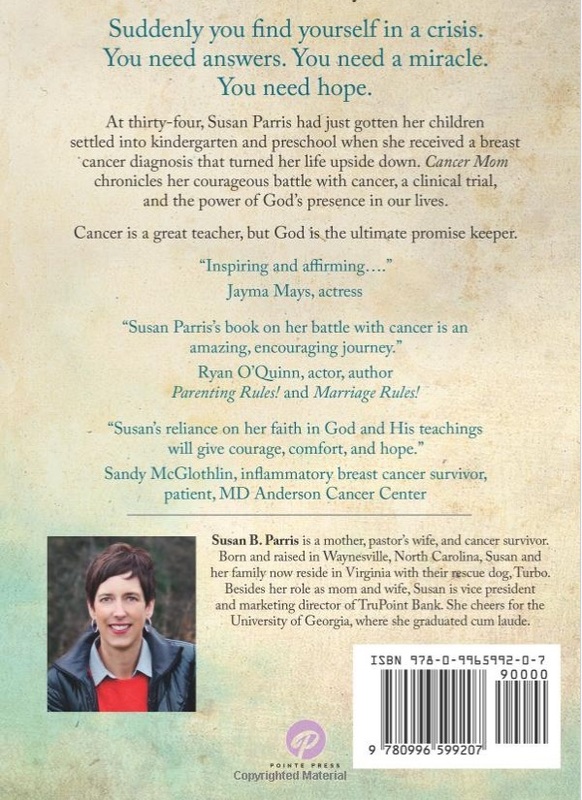 Susan Parris is not just another author who has written a book about cancer. She is my cousin's wife and a mom to two amazing boys. She documented her journey through this horrific disease, and I was so moved when I read the book, I could not put it down and wanted to make sure others have the opportunity to read it and be inspired. It's not just about cancer. It's *so* much more than that. We all face those difficult things in life, and this book will encourage you no matter what you face. Her amazing journey of faith will inspire you to not give up, regardless of how hard the road ahead is. You'll cry with her, and you will cheer her on as she walks this road of uncertainty. My aunt had given me this book one night after I led my choir practice, during a time when Luis and I were going through an unbelievably difficult situation at our church. I honestly just cried and cried as I read Susan's words, knowing that no matter what I faced, God would do something "utterly amazing." "Utterly amazing." Those words kept coming back to me long after I read the book, and I knew it could inspire and encourage anyone and everyone -- whether you are Christian or not. So, I am going to give one away to a reader. Just leave a comment and let me know if you would like to be entered in the giveaway, then I will randomly choose a winner on Friday, Nov. 4. If you want, you can also order Cancer Mom on amazon. Not only will you be inspired, but if you have a friend or family member facing not just cancer but anything difficult, they will be inspired and encouraged. My sister is a breast cancer survivor and I walked with her during her journey. They are amazing! I would love to have a copy of this book--I have a special friend in mine who would love it as well. Thank you for the giveaway! It will inspire you for sure!! I usually stay away from painful reads but I'm looking for some hope in my life right now. I'd love to read this. I would love to win this book! Thank you for sharing! Oh I loved that scripture. I closed my eyes and heard it again. I lost my only sibling to br ca at the age of 39.She had two daughters age 3 and 6. Diagnosed with this evil disease when the youngest was 8 months old. I could go on and on and on.I raised her two girls. I dont know why we can go to the moon and not lick this horror who destroys so many lives.Sign me up for this tear jerker. i am always looking for good reads and this looks really inspiring! i loved the last lecture, until i say goodbye, and would love to read one with a happier ending. so happy for susan to have survived this terrible thing called cancer. Your (I should say God's) timing is Impeccable, as my daughter was diagnosed with stage 2 breast cancer 3 months ago. I do not wish to receive your generous offer of the free book (I will be ordering 2 copies from Amazon tonight), but I want to thank you for being "the messanger" & forwarding this info! 'Bless your heart & thank you. Sincerely, Cathy Robinson. Oh Cathy, I am so sorry to hear that. 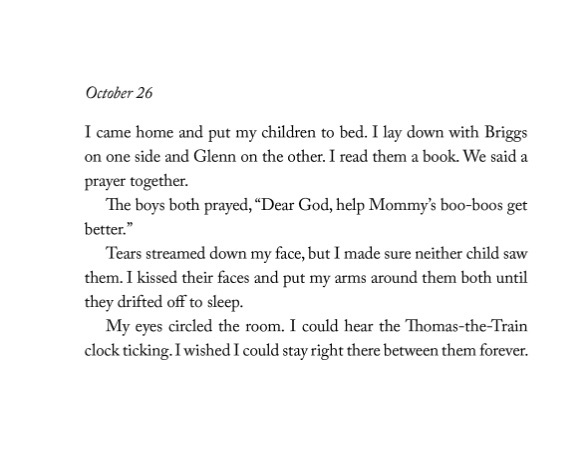 I hope and pray you are both encouraged through this book and my thoughts and prayers are with your family. My older sister is undergoing treatment for a second occurrence of breast cancer. But, we all need to hear from God! Sounds like a wonderful book. I'd love to read it. Thanks for the opportunity to receive a copy. Thank you for sharing that Nancy. 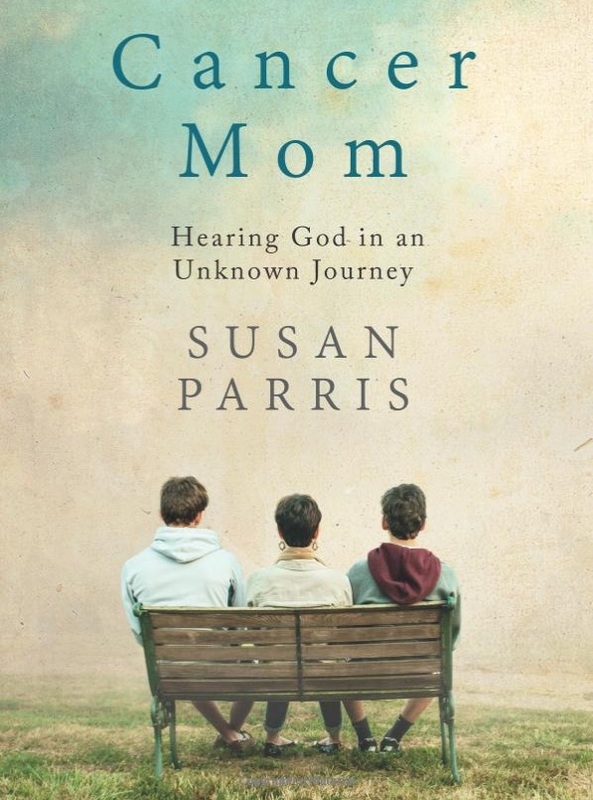 It is a wonderful book and I think you would be encouraged:-) My prayers and thoughts for your sister!! I would love to read her story. Please enter me in the giveaway. Thank you! I would love to read it whether I will win or not. Thank you for recommending it! I would love a copy of her book. I am battling cancer and am on my 2nd round of chemo. I could use encouragement. I love your blog. I would love to win a copy of this book. My sister is scheduled for surgery tomorrow to have her lymph nodes removed and I'm sure it would be an inspiring read for her at this time in her life. Yes, it is absolutely inspiring, no matter what we face. I found it so uplifting and comforting. Prayers and thoughts for your sister!! I would love to be entered in the book giveaway. Looks like a tear jerker!